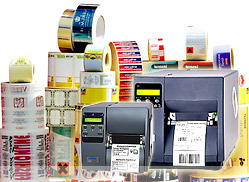 We provide modern and efficient solutions of labelling and product identyfying. Every company can benefit from our complex offer. We support our customers by choosing the best solution complying their needs. We will help you by identifying your labelling needs, help to obtain bar codes, provide labels and thermal/thermal transfer printers, choose right bar code scanners and software that will operate the whole system. We invite you to get to know our products! !